TurnKey Coaching & Development Solutions’ Executive Coaching and Leadership Development Programs are fully customized to your company’s development and business objectives. Our best-in-class executive and leadership coaches craft the program to be a perfect fit for each program participant while still working within your budget. What we do is simply unmatched in the corporate coaching industry! TurnKey Coaching & Development Solutions is the premiere provider for leadership development programs in the Chandler area. » Make the most of high-potential employees with our emerging leader programs in the Chandler area. Whether your goal is to support a single employee or cross-company leadership, we have proven professional coaching programs for any level of employee. With a single-point of contact, we make it affordable, flexible, easy and infinitely manageable. Our executive coaches and leadership coaches have decades of senior level business leadership experience, years of executive coaching experience, extensive training, and significant professional and coaching credentials. Our coaches are experts in facilitating successful growth and development, even at the highest corporate levels, and unleashing the potential of already powerful executives. We can provide just the right executive coach for your Chandler based business. 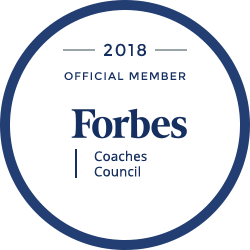 Why do 100% of the world’s top companies for leadership provide executive coaches and corporate coaching programs designed to develop their leaders? (*As reported by The Hay Group) Because they know key leadership skills will be lost as boomers exit the workforce and they realize they are faced with younger, less experienced employees having to assume leadership roles. The top companies for leadership leverage the performance benefits that predictably occur when their managers and leaders work with a highly-qualified executive coach. Quite simply - a leadership development coach will help your managers and executives out-perform and out-innovate your competitors. Contact us today and, be sure to ask about our Employee Engagement and Retention Whitepaper that provides 7 Key Strategies for Motivating, Inspiring, and Holding on to Top Talent.